Commercial quality kids overalls that can be personalised with a name logo or message of your choice. 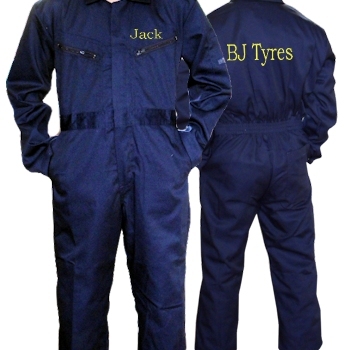 Sturdy blue childrens coveralls / boiler suit to protect clothes during messy times when helping around the garden or at work or embarking on a little project of their own. Encourage your kids to wear the suit to protect their clothes and made special with personalisation of your choice. Sized 12 yrs.